Hopper has been giving us all a master class in photobombing lately. Three weeks ago she showed off the classic photobomb. Last week she demonstrated the involuntary photobomb. 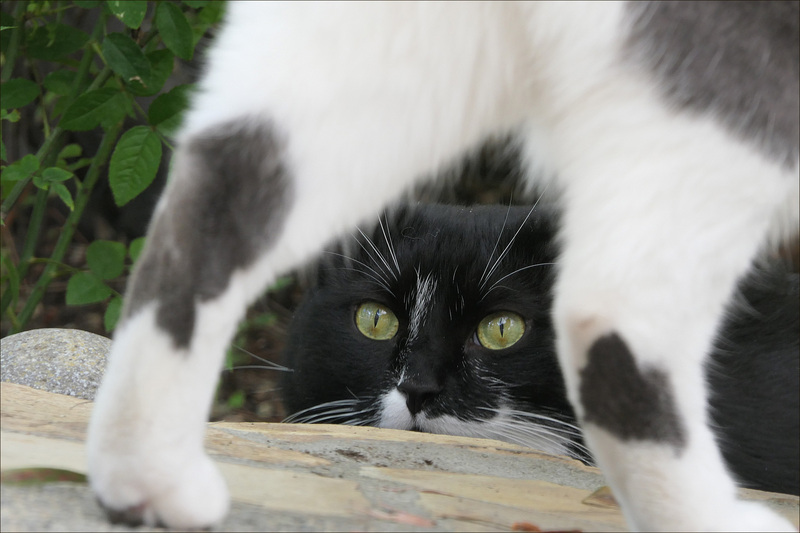 Today, in an innovative new technique, she photobombs Hilbert from the front. BTW, this picture is brought to you courtesy of burst mode. Remember when I told you it could pay off even for ordinary portraits where nothing was going on? Here’s the proof.